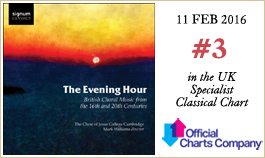 Mark Williams is Director of Music, Fellow and College Lecturer in Music at Jesus College Cambridge. 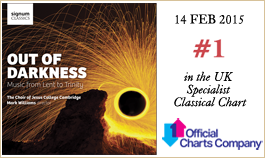 He studied at Trinity College Cambridge where he held both the organ scholarship and an academic scholarship. 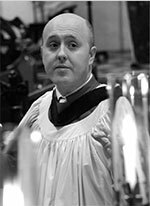 In 2000, at the age of 21, he was appointed Assistant Organist of St Paul’s Cathedral in London and Director of Music at St Paul’s Cathedral School. He relinquished both posts in April of 2006 in order to pursue his growing freelance career. 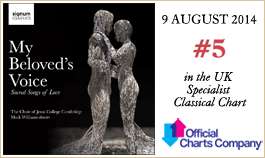 In September 2009 he took up the post of Director of Music at Jesus College Cambridge. Mark Williams has appeared as organist and harpsichordist nationally and internationally with many of the UK’s leading ensembles, including the London Philharmonic Orchestra, the City of London Sinfonia and the Gabrieli Consort and Players. As a conductor he has worked with the Britten Sinfonia, London Mozart Players, Saraband Consort and City of Prague Philharmonic Orchestra. 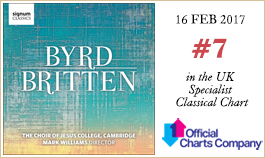 He is the Principal Conductor of the International William Byrd Festival in Portland Oregon and the Chief Guest Conductor of the City of London Choir, and has given solo recitals and led masterclasses in choral training, singing and organ performance in the UK, the USA, Asia and Africa. A Fellow of the Royal College of Organists, he is a Freeman of the City of London, and a trustee of the the Oundle Music Trust, Cambridge Early Music, the Harlton Organ Trust, the Muze Music Trust in Zambia and Songbound which aims to change the lives of underprivileged children in India through music. He is the Honorary President of the Chamber Choir of Erne Integrated College in Enniskillen. In addition to writing and arranging music for the popular classical-crossover groups Blake and All Angels, Mark Williams has performed on a number of film soundtracks, and appears on CD with the Choir of Jesus College Cambridge, the Choir of Trinity College Cambridge, the Royal Philharmonic Orchestra, the London Philharmonic Orchestra, the Cambridge Singers, the Bournemouth Symphony Orchestra, The King’s Consort, The Sixteen, Arcangelo and Retrospect Ensemble. He is the Musical Consultant for the television crime drama, Endeavour.